The box has been open and the cat was dead. I can’t say I’m surprised. I expected a 9.6 to be the highest grade out of the two that I submitted and I’m ok with that. I just have to continue the search. I did hope that I would finally attain that 9.8, but it wasn’t meant to be. I have about six conventions scheduled over the next three months so I’ll be back into the boxes again searching. I even stopped being picky. I just buy them now to have them. 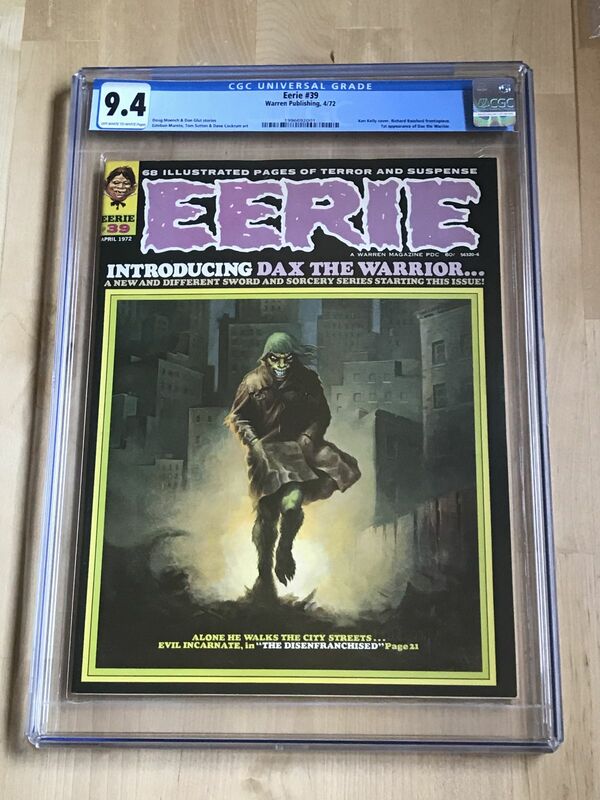 The other invoice I turned over was for a copy of Eerie #39. The top of the magazine showed areas I knew that could be pressed out and CCS delivered. It was some of the spine stress I knew would keep the book grading above a 9.4. Not to mention the front of the cover where the black seems to have been starting to rub. Every time I read “Introducing Dax the Warrior...” I immediately think of Iron Man 55 where Drax the Destroyer was introduced. I know... two totally different entities. But why this issue? What made me jump outside the realm of comic books and into magazines? Well, that answer is simple. The publishing date for this was April of 72 and is listed as one of the hundred plus books that I am searching for to complete what I dubbed my Birthday Books. 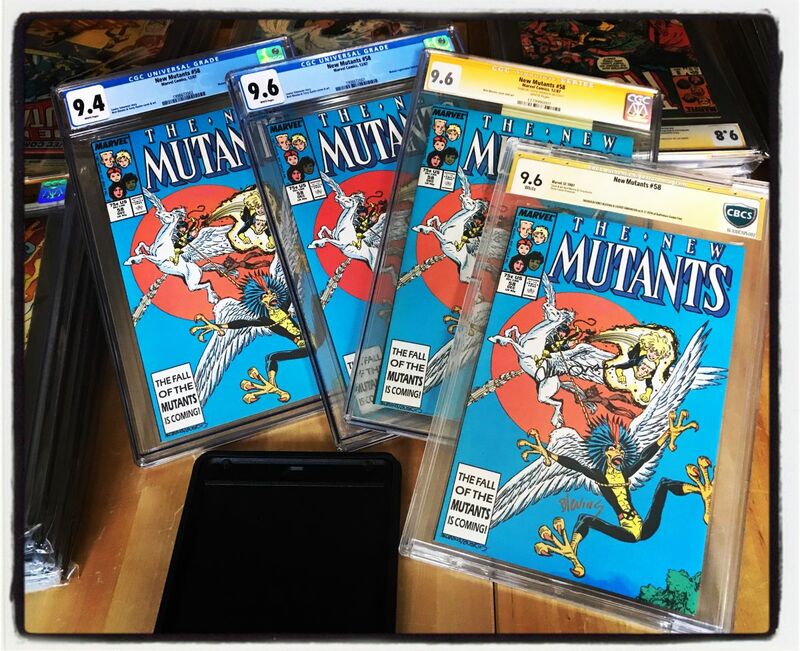 And even as I try to complete a 9.8 set of New Mutants, this book is above the 9.2 limit I have set for myself to try to attain. Suffice to say I am happy. PS. If I remember correctly the magazine was purchased at Keystone Comic Con from Basement Comics.